Treating concussions -- particularly children's’ concussions -- can be tricky business. Doctors and parents both often struggle to find the right balance between easing kids back into regular activities and taking more precautionary measures. However, the American Academy of Pediatrics (AAP) recently updated its concussion recommendations for children, making the treatment protocol much easier to follow and ensuring children receive the proper care. The doctors involved in the report emphasize that doctors should treat every concussion case individually, as no one treatment option works for each child. Earlier reports encouraged parents not to let concussed children use electronics, be physically active, or even do school work, as the activities were thought to hinder the healing process. However, while the updated recommendations still want children to rest after enduring a concussion, the doctors found that spending too much time isolated can leave the child feeling anxious, depressed, or overwhelmed. According to Dr. Halstead, traditional remedies have actually been found to make many children’s concussion symptoms worse. Rather than eliminate everything cold turkey, Dr. Halstead suggests taking things easy when the injury occurs and slowly incorporating regular activities back into the child’s schedule. While he suggests avoiding physical activity and lightening the school load at first, adding in mild activity can be beneficial when the child is on the mend. As for electronic devices, the new recommendations suggest they may be beneficial in children’s readjustment to school work. Though sensitivity to light is a common side effect of concussions, and electronics should be avoided when that is occurring, the doctors suggest that many devices offer larger text and audio options to make school work easier following a head injury. Moreover, cutting children off from electronics -- one of their primary tools for communication -- can leave them feeling isolated or can increase stress related to their injury. Despite this, Dr. Halstead notes that every child experiences a concussion differently and should be evaluated carefully by physicians to ensure they receive the proper treatment. Concussions come with serious symptoms and side effects, and remaining educated on the latest trends and findings can make all the difference in treatment. A study conducted earlier this fall found that children under the age of 13 experience concussion symptoms three times longer than teens and adults. 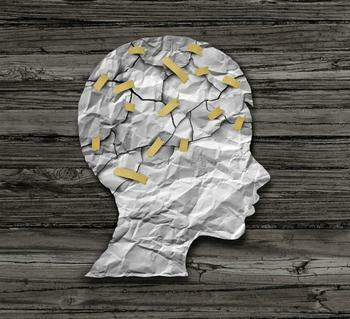 The researchers believe that children are more susceptible to mental health conditions, such as anxiety, depression, and ADHD, and that could be why they’re experiencing symptoms for three to four weeks. In an effort to maintain a standard of treatment and care, the Centers for Disease Control and Prevention (CDC) released guidelines for treating childhood concussions. While the agency recommends ways to prevent and treat head injuries, the guidelines also emphasize that concussions should be taken seriously by healthcare providers and families, as the long-term effects can be substantial.